What Is a Brick Trowel? A brick trowel is the tool used to spread concrete or mortar when laying bricks. A brick trowel and bricks. A brick trowel is a tool used by bricklayers to spread or smooth out materials such as concrete or plaster during the bricklaying process. The tool usually features a flat, steel blade that is pointed at the end, as well as a wooden handle that is attached to the blade by a vertical metal arm. The brick trowel is used most often to spread materials, but it can also be used to pack materials in between bricks, or in some cases to break bricks into smaller pieces, though other tools are more efficient at this task. The vertical metal arm is usually known as the tange. In most cases, the brick trowel will feature a one-piece blade and tange that is made from carbon steel or from stainless steel. A wooden handle is the most common type of handle attached to the tange, though other materials such as plastic or even metal may be used as well. Some brick trowel models will feature leather or rubber wrapped around the handle. The length of the blade, and the tool overall, can vary depending on the needs of the bricklayer. Smaller trowels are useful for detail work and smaller projects, while larger trowels are useful for larger bricks or blocks. 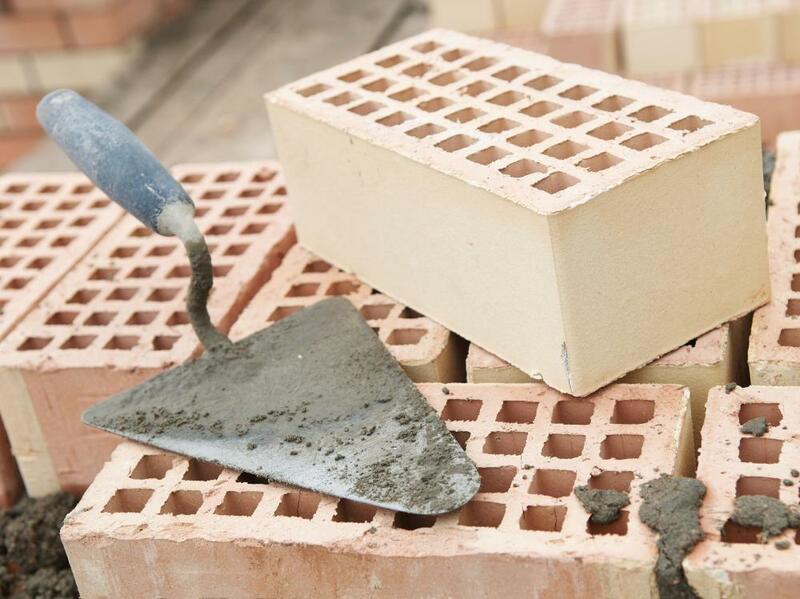 The process of using a brick trowel can vary depending on the process being completed, but very often, it is used to scoop up pre-mixed mortar from a container and lay that mortar across a course of bricks. The mortar is transferred one trowel load at a time, and the bricklayer then needs to create an even layer of mortar on the bricks so the next course of bricks can be laid effectively. The mortar must be spread flat and even; the underside of the brick trowel is used to do this spreading. Some bricklayers may use the brick trowel to help position bricks as well. 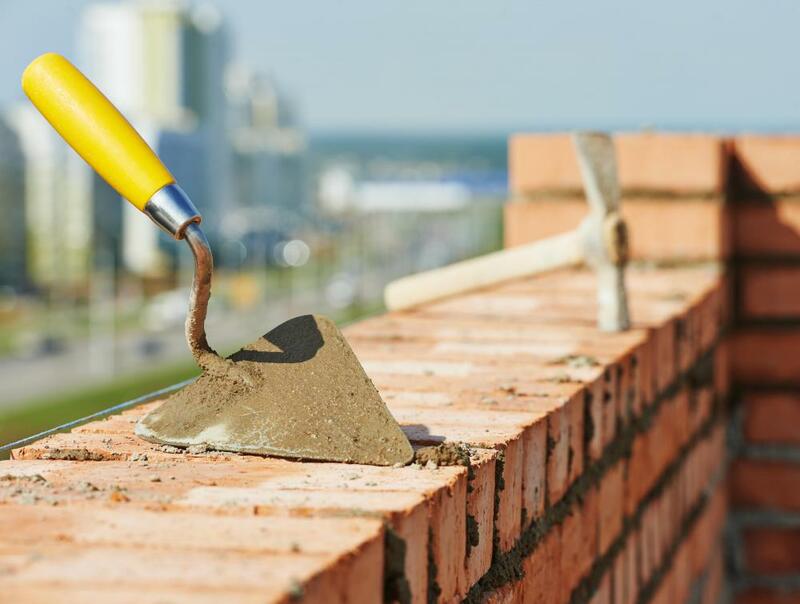 In order to get the brick in the proper place without upsetting the smoothness of the layer of mortar, the brick can be rested on the trowel and then slid into place. Once in place, more mortar will need to be pressed in between neighboring bricks. The trowel can be used to tap bricks together, thereby preventing gaps between bricks that may allow water to seep into the structure and lead to cracking. Certain types of trowels can also be used to repair damaged bricks; such trowels are usually longer and narrower than normal brick trowels. What Are the Different Types of Brick Tools? How do I Apply Stucco over Brick? What is a Pointing Trowel?